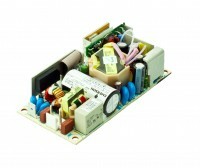 The NPT40-M series of open-frame AC-DC power supplies features both ITE and medical safety approvals. All models have triple output voltages in a compact open-frame design; measuring just 2 x 4 inches, with a height of only 1 inch. The series is primarily intended for use in information technology equipment (ITE) and light industrial systems, as well as for equipment intended for non-patient contact and non-patient critical use in low power medical, dental and laboratory applications.